Those one, two or more for-the-road drinks consumed at a British airport bar could wind up getting a tipsy traveller into a world of grief. That’s because a UK air navigation order deems it illegal to board an aircraft when drunk or to be drunk on board, with penalties ranging from a five-thousand pound fine ($8,740) to a two-year prison sentence. The message obviously wasn’t getting through to passengers boarding in the UK because the market experienced a 325% rise in reported unruly passenger incidents between 2013 and 2017, with alcohol intoxication identified as a key trigger in many of the cases. 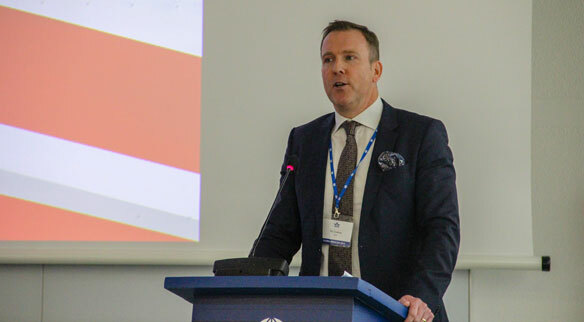 That prompted the industry to get proactive by forming a common front to prevent incidents, according to Tim Colehan, IATA’s assistant director of external affairs. He told a recent press briefing that the association was part of a summer 2018, government-endorsed public information campaign dubbed “One Too Many” that aimed to raise awareness of the need to fly responsibly. The ten-week nationwide campaign at 11 participating airports brought together the UK Travel Retail Forum, the Airport Operators Association and Airlines UK, along with IATA. According to the IATA exec, the key areas of focus were summer holiday travellers, passengers within certain age demographics and passengers travelling on routes where incidents had previously occurred. As well as prominent airport poster warnings, the campaign generated more than 100 traditional media articles, more than 5.6 million impressions on social media, UK-wide Instagram ads generating 1.1 million impressions and Facebook ads which reached over 1.5 million users. For 2019, Britain’s OTM campaign will be reprised, along with a winter version targeting flights to ski destinations. Additionally, IATA is working with the European Aviation Safety Agency to develop a joint, continent-wide passenger education campaign that will include a video and other materials which airlines and other stakeholders can use to highlight prohibited conduct. At the same time, IATA wants to promote One Too Many and the UK’s Industry Code of Practice as examples of best practice and is looking to assess OTM’s potential application in other locations such as the Balearic Islands. He revealed that a recent IATA poll showed 32% of the 2,500 people surveyed had witnessed unruly or inappropriate behaviour in the previous six months, while 80% of them thought perpetrators should be subject to criminal prosecution. And he noted that the second element of IATA’s work on unruly passengers is a push to promote ratification of ICAO’s Montreal Protocol (MP 14). “One of the major issues we have is that there is a gap in international law which means that those accused of committing offences on flights often escape prosecution. MP 14 addresses it by ensuring that states have the necessary powers to deal with unruly passengers, irrespective of where the aircraft is registered,” he explained.